The Feria de Sevilla is essentially a week-long party that takes place every April, typically two weeks after Semana Santa, in the capital city of the incredible Andalusia, involving hundreds of casetas, which are marquee tents. 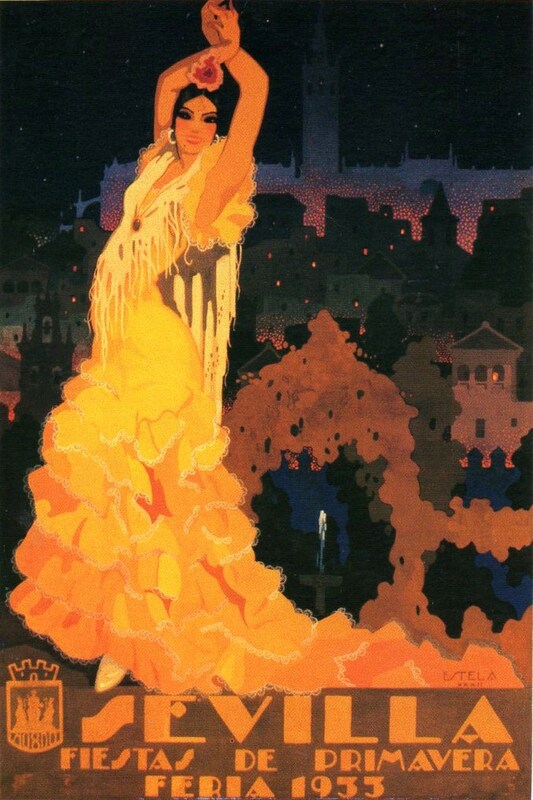 During this week-long party many locals will dress up in traditional flamenco attire, such as the dress shown on this postcard. There’s an incredible atmosphere and the Feria de Córdoba, which takes place in May is also highly recommended! The Feria de Sevilla in 2013 will take place from the 16th-21st April.